When the Atlas was first released last year it became an instant hit with experts and drivers alike due to the fact that it packaged the interior comfort, tech, safety, and fun for which Volkswagen is renowned into a massive, family-friendly 3-row SUV. Now reviewers are saying that the 2019 Volkswagen Atlas is even better. Let’s take a look at what leading consumer reports have to say about the latest edition of this already popular Volkswagen SUV. In other words, the 2019 Atlas offers the capacity, comfort, tech, and safety you need to get your family where it’s going with a smile. The new Atlas is for sale now at our Tampa Volkswagen dealership. Visit today to see how it stacks up against the competition. Why get your Atlas from Reeves? Our customers become long-term Reeves patrons for many reasons. First off, they appreciate our massive inventory—the largest you’ll find anywhere in the Tampa region. They also praise out outstanding level of product knowledge, which allows you to stay in the know about the latest innovations from Volkswagen. Then it’s a matter of convenience. At Reeves Volkswagen, we make the shopping and ownership process as straightforward as possible. And let’s not forget about our unrivaled Volkswagen specials. Finally, it’s a simple question of satisfaction. We’ve known for our dedication to offering friendly, helpful service every time you interact with a member of our team. Between the family-friendly perfection of the new VW Atlas and the unrivaled customer satisfaction delivered by Reeves, 2019 is looking to be a great year for driving. 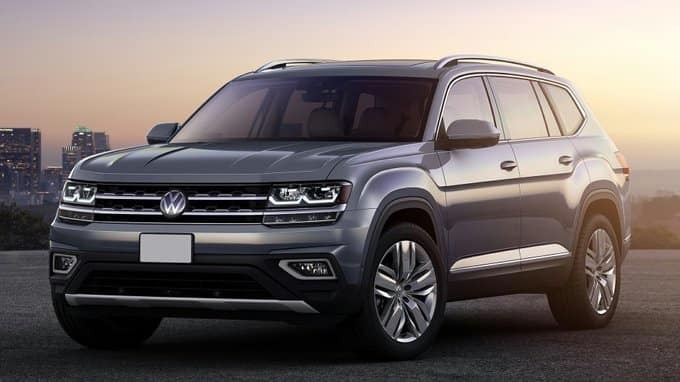 Check out our selection of the 2019 Volkswagen Atlas online, or call Reeves Volkswagen at (813) 935-3354 today. 0 comment(s) so far on Is the 2019 VW Atlas the Ultimate Family-Friendly Ride?